Esther Kokmeijer has been several times to Ny-Ålesund to photograph arctic terns. This spring she introduced a group of art students to the Arctic Centre of the University of Groningen. Back in Zwolle, some made dishcloths based on the Arctic and Antarctic. 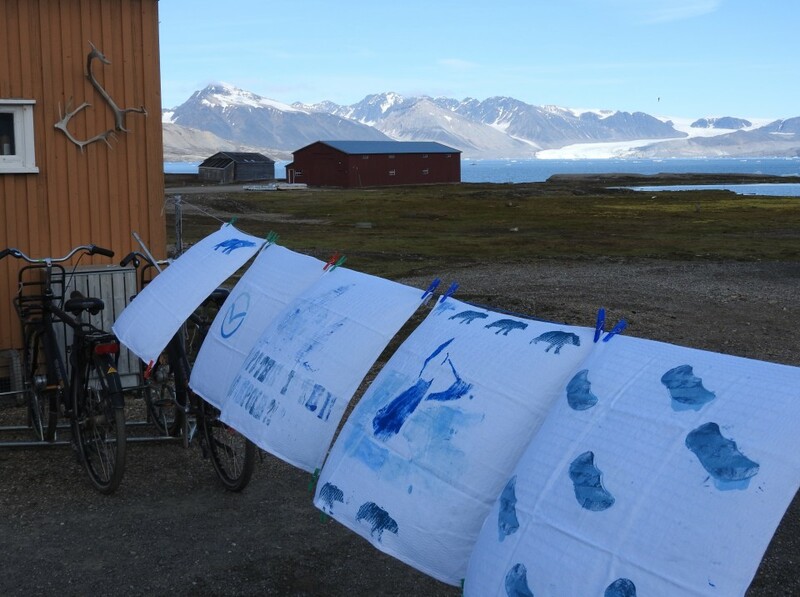 They were sent to me and I thought to display them in the Arctic environment on a drying line with glaciers in the back, to bring it one step further.